The rise and rise of digital learning has spoiled educators for choice when it comes to teaching apps. But having too many options on the table can be as daunting as having too few. With over 500,000 educational apps jostling for your attention, it’s no wonder teachers sometimes feel nostalgia for the bad old days days of hard-copy set texts. But while there’s no foolproof system for separating the high-quality from the ho-hum, experts offer some useful guidelines that can help teachers cut through the noise. With so many free apps to choose from, be extra-cautious about high-priced products. Whatever app is chosen needs to be affordable for students and families. Amazon has a free app of the day for Android, and Apple has a weekly free app. Look for apps that limit ads and in-app purchases. And check out some of the many resources that have been approved by other teachers. Teachers with Apps is a great one. Students today will be working on a variety of devices in a variety of locations - classroom, home, and on-the-go. Ensure whatever app you choose will save their work in the cloud, not on the device itself. Cloud-based apps follow students no matter where they are, so work can be picked up wherever and whenever they choose. Compatibility across all operating systems and devices is essential. An app that works only on iOS devices - or that only speaks to Windows - will create obvious dramas. Arguably the biggest single advantage of digital learning is the way it promotes collaboration - encouraging students to work together and respond to one another’s input in a way that lifts and challenges the entire group. When evaluating new apps, give priority to programs that put collaboration at the centre of the teaching/learning experience. Here are a few more practical tips the experts recommend - things to do, and things to look out for and things to remember when choosing apps. Sure, an app may look fancy. But exactly how will it serve your teaching/learning agenda? It’s a truism that if an app is solving problems for you, it’s probably creating them. Let your students be your “digital assistants” - finding and testing apps that may be good for self-directed learning. Keep an eye out for apps that are able to learn from user input and revise themselves accordingly. This makes it possible to personalise learning for content, sequence, pace or complexity. 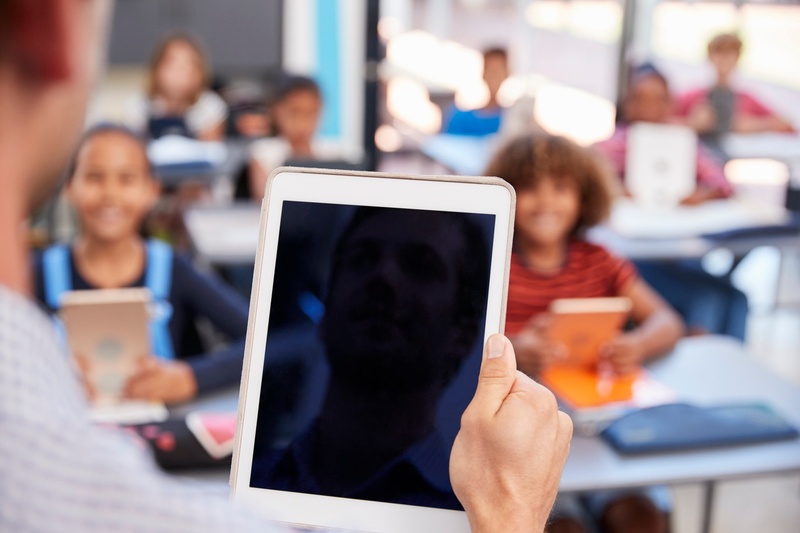 Apps with built-in adaptive learning algorithms exploit what technology can do best (and mere human teachers struggle with). Like it or hate it, you’ve probably already noticed that most students find apps more engaging than books. But it doesn’t have to be an either/or - make it a both/and. Activity-based apps and information-rich texts can pair perfectly in a classroom setting. Consider limiting internet access with classroom management tools. No matter how amazing the lesson or activity, students are only human. They will be distracted by social media notifications and texts during class. So, for that matter, will you! Family Zone Classroom makes in-class boundary-setting a snap. A simple dashboard that displays student internet activity as it happens, it’s your window onto classroom internet. Keep the whole class on-task and online, with Family Zone Classroom.